Solar investing with a focus on the MUSH and C&I market. CleanCapital received funding from John Hancock Life Insurance Company in August to close its first portfolio of solar projects. The solar financing startup is a bit like a YieldCo, but is more akin to the fintech firms that are making it easier for a broader swath of investors to invest in other markets, like real estate. CleanCapital investors can pick and choose their investments, which are primarily commercial and industrial solar projects, as well as smaller utility projects, rather than pools of residential solar projects or larger utility-scale projects. 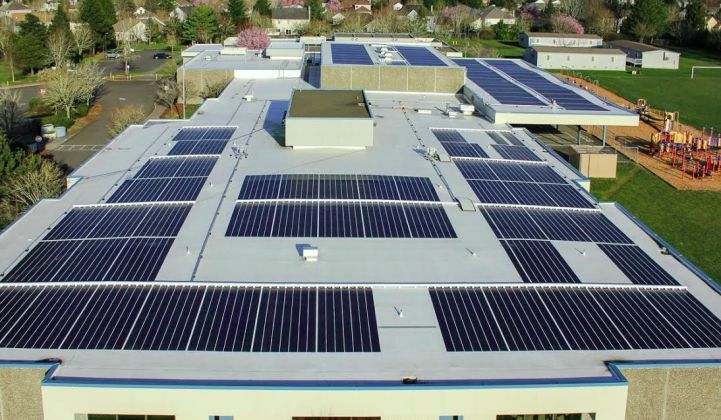 “There’s an operational advantage, as there’s fewer folks competing, and developers have few exit opportunities,” Powers said of C&I solar projects. He noted that developers were focused on getting projects done before the federal Investment Tax Credit was extended in December, and now many have picked their heads up and are interested in moving to the next project. CleanCapital received $21 million in senior debt from John Hancock for a portfolio of 14 solar projects in six states, most of which are in the municipalities, universities, schools and hospitals, or MUSH, market. The firm is also talking to high-net-worth investors, family offices and other accredited investors who are looking to take an ownership stake in a portfolio of projects that CleanCapital has already originated. Although the minimum investment is $25,000, most investors will likely come to the table with far more. The New York-based startup says it has about $100 million of projects in the pipeline. The second offering is nearly 14 megawatts' worth of small-scale utility projects for $31 million of debt and equity. Like the portfolio that John Hancock invested in, the targeted returns are about 11 percent to 13 percent. Later this year, CleanCapital expects to launch its platform that it hopes will allow investors to evaluate projects in the pipeline and reduce transactional barriers for investors to put money into solar projects. Powers said it was similar to a service like Fundrise, a technology platform for investing in commercial real estate. CleanCapital is not the only startup taking a fintech approach to solar financing. T-Rex Group is another firm that wants to make renewable financing more transparent and efficient. T-Rex provides enterprise valuation and risk analysis tools for solar projects for both developers and investors. Other funds such as Wunder Capital are also focused on bringing in a more diverse set of investors, particularly smaller ones with as little as $1,000 to invest.